Having Seven Integration design and install a dedicated home cinema is the obvious choice for film buffs. 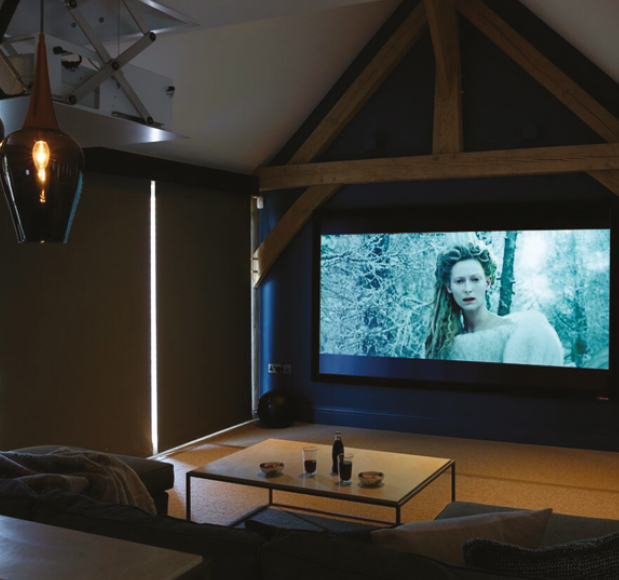 Whether you’re looking to create a state-of-the-art 3D home theatre, a dedicated gaming room or a little bit of everything in a multi-purpose family room to keep everyone happy, our team of highly skilled and CEDIA-qualified home cinema installers will help you design the ultimate entertainment room. Perhaps you want a projector to drop down from the ceiling at the push of a button, a TV hidden behind some artwork that reveals itself when needed, invisible speakers or cinema seats that come up out of the floor? Whatever your unique needs, our bespoke service lets you create the home cinema of your dreams. 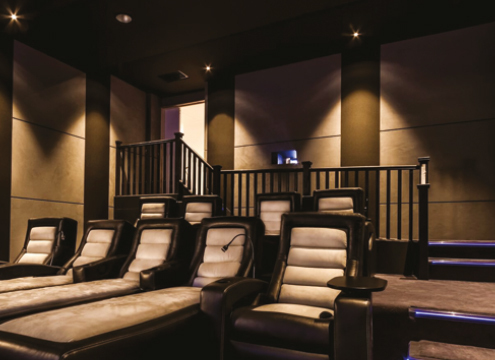 We pride ourselves on ensuring you get the most out of your home cinema system. That’s why we follow the globally-recognised guidelines for the positioning of everything – from seats to speakers –to turn any room in your house into the perfect viewing venue and create an immersive cinema experience. The tools we use to calibrate our home cinema systems rival, and can often surpass, your local cinema, with the best possible image displayed and the finest sound created. Whether you want to watch action, romance, drama or horror –or binge-watch 15 episodes of your favourite boxset – there’s no need to get up to change a disk ever again; we can install a Kaleidescape hard-drive server-based system on which to store all your movies, TV shows and games, keeping them safe, easily accessible and away from popcorn-sticky hands, and allow you to watch movies and shows to your heart’s content in full “bit-for-bit” BluRay quality –no compression, no compromise.